If you are cited for a misdemeanor DUI with no prior DUI convictions and you agreed to do breath or blood testing, you are facing a 90 day license suspension. The first 30 days of the suspension you can not drive at all. If you complete a DUI substance abuse screening from a certified provider, you will be given a restricted permit to driver for the last 60 days of the suspension. However, that permit will only allow you to drive for work, school or treatment purposes ONLY. 1. Do the suspension as served by the officer. 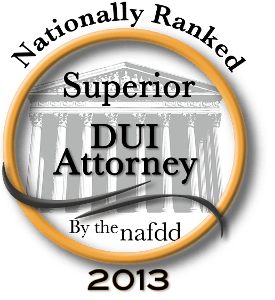 If you are later convicted of any DUI offense in that case, you will have already served the DUI suspension. 2. Request a hearing through the Arizona Motor Vehicle Divsion to challenge the license suspension. That hearing will likely be set sometime in the proceeding 2 months or so. It is hard to predict when MVD will set a hearing. However, you will be able to drive unconditionally while you await the hearing date. If you WIN the hearing, you will not have a license suspension for now. However, if you plead guilty to or are found guilty of ANY DUI charge in the case, then the MVD will impose the same 90 day suspension at a later date AND you will have to get SR22 insurance for 3 years (which can be costly, high-risk insurance). The only way you get ordered to have the SR22 insurance for 3 years is if you win the MVD hearing AND are convicted of a DUI offense. On the other hand, if you LOSE the hearing, you will get the same 90 day suspension which would begin sometime after the hearing (usually about 2-4 weeks later). It is very important to always keep your address current with Arizona Motor Vehicle Division. The law requires it. Here is a link to the AZ MVD website to change your address.